It’s true. Music and the arts speak to us and for us in profound and immeasurable ways. When used as part of an elementary school curriculum, early childhood music can also impact the measurable side of education, including early literacy and language acquisition. 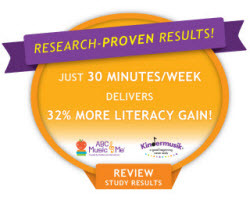 In our early childhood curriculum, ABC Music & Me, children experienced a 32 percent literacy gain after participating in our music education classes. 1. Early childhood music classes teach children to identify and discriminate between sounds—and focus on sounds that matter most. During the school years, children will spend an estimated 50 to 75 percent of classroom time listening to the teacher, other students, or to media. That doesn’t mean the rest of the classroom noises automatically cease. Little fingers will still tap on the desk, children’s laughter from recess outside will still be heard, students will still whisper to each other, and shuffling feet will still walk through the hall. Developing strong active listening skills, prepares young children to focus on the lesson at hand rather than the other distracting noises. Our early childhood curriculum, ABC Music & Me, gives young children many opportunities to develop those strong active listening skills. In one 30-minute class, children may listen intently for the sounds of a specific instrument in a classical piece, use instruments to practice the difference between Staccato (short) and Legato (long) sounds, or even move their bodies fast or slow in response to what they hear in the music. 2. Our brains process music similarly to how we process language. To become successful readers, young children need to understand that words—like music—are made up of discrete sounds. Later they use that knowledge of sounds to read and build words. Research shows that children with these skills are more successful learning to read than others. Kindermusik’s early childhood music classes provide many opportunities for children to discriminate similarities and differences in sound. So, while children gain musical skills in class, they also make gain in phonological awareness and reading development. 3. 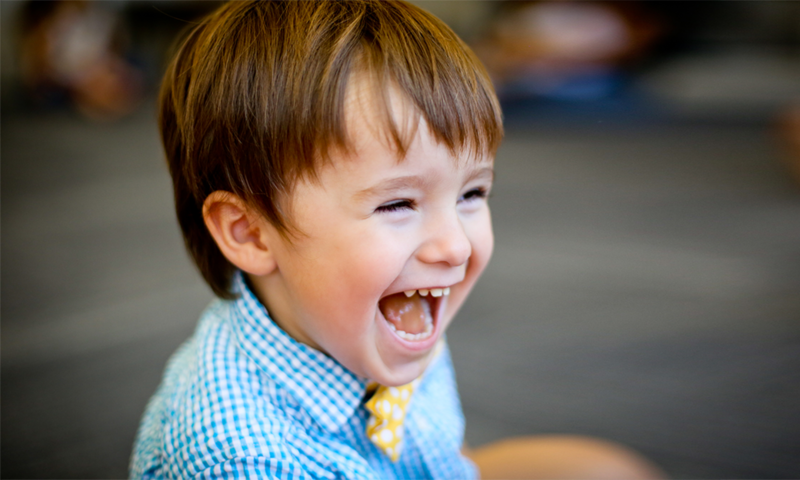 Music teaches young children self-regulation skills. Self-regulation is the ability to control our thoughts, feelings, and actions. When used as part of an early childhood curriculum, music (and movement) can help children learn to tell their bodies what to do, when to stop, when to go, and when to move to another activity. 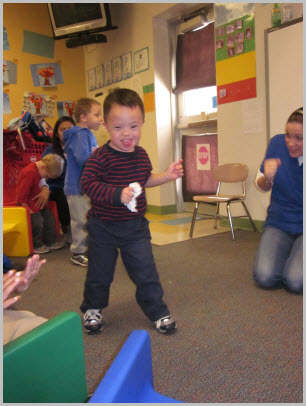 So, when children participate in a circle dance, transition from one activity to another, and even share instruments, children are learning and practicing self-regulation skills. Those same skills will help children pay attention in school, act and behave appropriately, and transition from one activity to another. 4. Participating in early childhood music classes teaches young children how to learn. In our childcare curriculum, ABC Music & Me, an educator guides the class towards a learning objective with the children as active participants in the learning process. Providing children with ample time to reflect, compare, make choices, express opinions and preferences, and engage in problem-solving activities together teaches children not only the lesson focus but it teaches them how to learn. Yes, music belongs in our children’s lives. And, yes, music belongs in our schools. Our early childhood curriculum, ABC Music & Me, uses the latest research on how children learn as well as the proven cognitive benefits of music to support the growth of phonological awareness, focused listening skills, self-control, early language and literacy skills, and more. Plus, our childcare curriculum intentionally creates lessons that give teachers the opportunity to notice, observe, and include children of all abilities in a group learning environment. To learn more about bringing ABC Music & Me (and the power of music!) to your preschool, elementary school, or daycare, email us at info@abcmusicandme.com. Or, if you are at the NAEYC’s 2013 Annual Conference and Expo this week, stop by our Booth (#2712)!